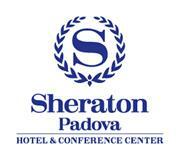 Welcome to the Sheraton Padova Hotel Congress Center, where we will make your dream event come true. The Sheraton Padova Hotel represents the focal point for travellers. incentives and meetings, and the leaving point for unforgettable tours. Boutique, newspapers and tobacco shop.